Linen is a type of fabric that’s sturdy, cool, and absorbent. 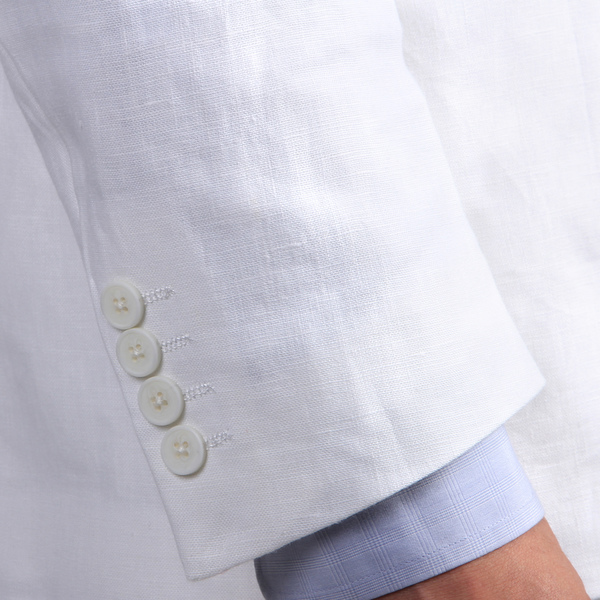 If you’re going to a summer wedding, you should consider wearing a white linen suit. Linen and linen blends are easy to sew and even easier to wear. Use linen for creating warm-weather suits, dresses, pants, and home décor accents. The lightweight fabric feels comfortable and airy even when the mercury rises, so you can stay cool and pulled together. In the last few years, linen has become popular again especially in blends for casual summer jackets or suits that lend a relaxed yet sophisticated look.